Concours Meeting: We are only seven months away from the next Concours d’Elegance! The next Concours meeting will take place on Tues., Jan. 8, 7 p.m., at the Forest Grove Chamber office. If you are committee chair or have an interest in a greater leadership role with our biggest fundraiser, plan on attending! Be The Inspiration Award: This week’s Be The Inspiration award winner is Jerry Frye as presented by Richard Kidd. Congratulations Richard! Rotarian Sharon Olmstead, financial Advisor at Edward Jones and chair of our scholarship committee, spoke about the history and status of the scholarship program. The Forest Grove Rotary Club began awarding college scholarships when it began presenting the annual Concours D’Elegance in 1972. In the beginning, half of the net income was distributed as scholarships and the other half to youth sports and activities. Of the money for scholarships, 60 percent was donated to Pacific University to attend the local college and 40 percent was awarded to students from Forest Grove, Banks and Gaston high schools attending a college other than Pacific University. The scholarships are to help pay for the first year of tuition and college fees. Later the scholarship funds were paid 40 percent to Pacific and 60 percent to colleges other than Pacific. Rotary now includes graduates of private high schools or home school students living in Forest Grove, Cornelius, Banks and Gaston in its scholarship program. In recent years, the Forest Grove Knights of Pythias have donated thousands of dollars to increase the money for local students. In 2017, the Rotary Club of Forest Grove started an Endowment with Pacific University, with a beginning donation of $25,000 and with a current balance of just over $29,000. The endowment funds will be a perpetual scholarship opportunity for applicants of Forest Grove, Banks and Gaston who intend to attend Pacific University. 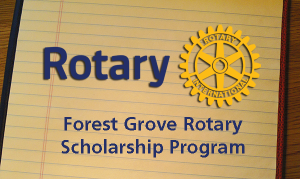 All graduating seniors who reside in the Forest Grove, Gaston and Banks school district boundaries are eligible to apply for the Rotary scholarships. The scholarship is to be used for the first year of tuition and college fees. It is not used for housing. This year’s application deadline is April 2. 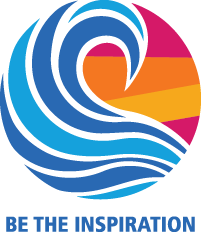 Recipients are evaluated based on their history of academic achievement, participation in school and community activities and demonstrating citizenship and personal character/values which align with Rotary’s Four-Way Test. Over the last nine years, the Rotary Club of Forest Grove, along with generous donations from the Forest Grove Knights of Pythias, have awarded 108 scholarships totaling $143,000.